The Design world has very few adages that have crossed over into the mainstream vernacular. The most famous is that form follows function. This is a critical notion that can easily be lost. As designers we think about the most critical missions and goals of every project, and the core functionality of every product. We try to anticipate or empathize with the needs of users. Most of our devices have far more functionality than we typical use them for, but the makers of devices rank or centralize functionality to make those operation they consider most important (or most important in the market), more easily discoverable and operable. In no realm is ‘form follows function’ more important as a principle than in developing digital media for children. Older children have an expectation of very high usability and production value, but are easily distractible. Younger children can be more lenient for production value, but lack the manual dexterity and cognitive depth to operate complicated interfaces and experiences. In other words, if the experience isn’t easy to use, and the UX carefully considered, it doesn’t matter how pretty your visuals are. For any software development, but children’s media in particular, it becomes critical to prototype, test early, test often and iterate. Frustration is common for children when they know what they want to do in a digital experience, but can’t understand how to do it. They often know the answer to the question, but not how to answer the question. One critical path to bettering our ability to build things that really match the needs of our users s to test early and test often. 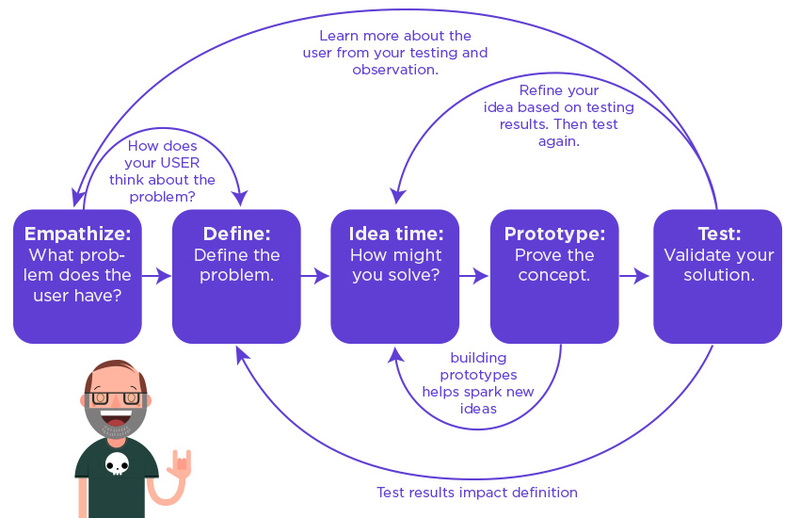 For every project designers should consider the goals and needs of a project, quickly design prototypes or proofs-of-concept that prove out solutions, and then test out to confirm those solutions work. Take those test results, refine and test again. This mimics the general approach taken by visual artists for ages: sketch quickly, in light pencil, and confirm before getting anywhere near ink or paint. Think about what you want to accomplish in your software, how you might accomplish it, and test to confirm.